Edward Kavazanjian recently received the Karl Terzaghi Award from the American Society of Civil Engineers. The award bestowed by the ASCE Geo-Institute recognizes career achievements in the field of soil mechanics, subsurface and earthwork engineering, as well as subsurface and earthwork construction. Kavanzanjian is a professor in the School of Sustainable Engineering and the Built Environment. The Karl Terzaghi Award is named for the late civil engineer and geologist considered the father of modern soil mechanics. Kavazanjian earlier this year began a three-year term on the Board of Governors of the U.S. University Council for Geotechnical Education and Research. 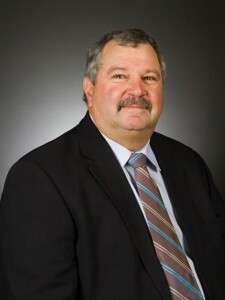 He also serves on the National Research Council Board of Earth sciences and Resources as chair of the standing Committee on Geological and Geotechnical Engineering, and is co-author of guidance documents on LRFD (Load and Resistance Factor) Seismic Design for Geotechnical Transportation Features and Structural Foundations for the Federal Highway Administration and Seismic Design for Municipal Solid Waste Landfill Facilities for the Environmental Protection Agency.